...except the zipper tab has come off both of the Big Skinnies I've owned. Like others, I've figured out a "fix" but it's disheartening, nonetheless. 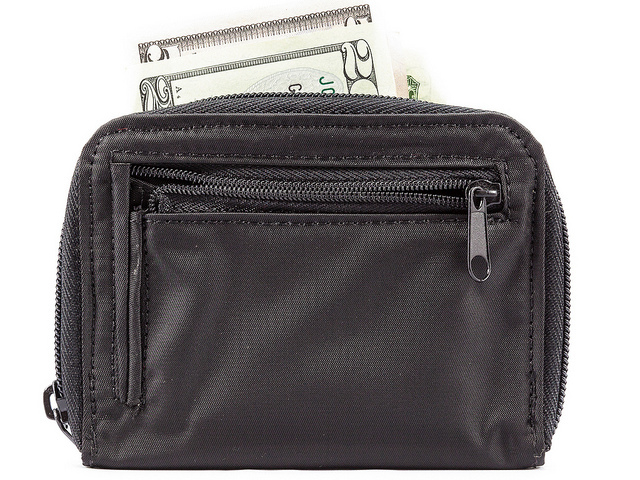 Beyond this nuisance, I LOVE the design and durability of the wallet, the convenient size, and general ease of use. It is for THOSE reasons I'm back to buy as gifts for others (and tell them the "fix" for when the zipper tab comes off!). Really well made. 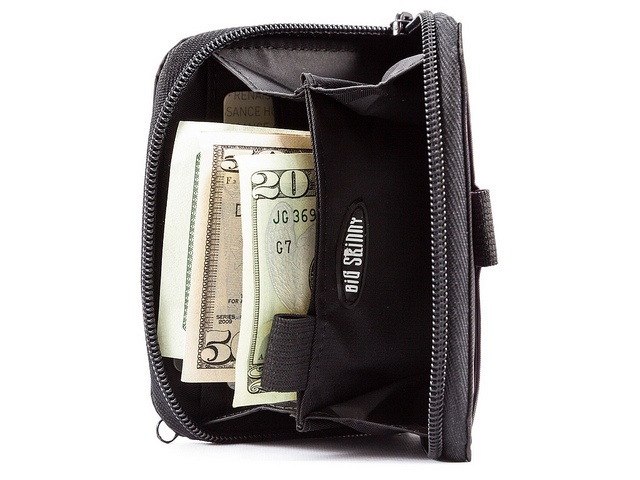 Lots of slots and pockets. Fits easily in my pockets. Very happy with my purchase. This wallet is the perfect size for a few cards, cash and change with room left over for receipts etc. and doesn't take up much room. My husband and I both have one. Highly recommend. Purchased in purple so that I could find it quickly in my backpack pocket. 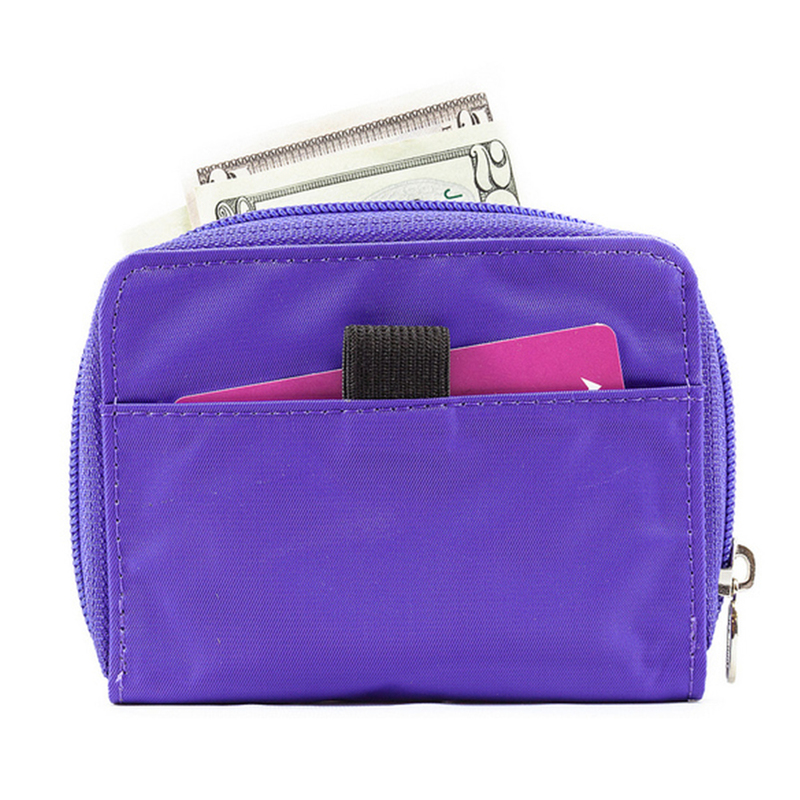 Compact with lots of areas to store cards, cash and coin. ProsBright color Compact Holds quite a lot! This is my second purchase of the same wallet. I have had the first one for four years and it is super durable. Love the light weight and the thin width even with all my stuff in it. Fabric is long-lasting. 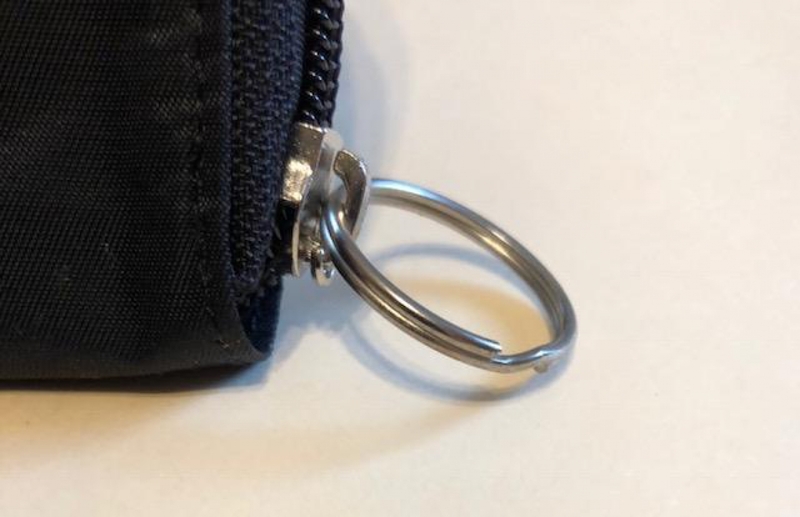 I added a pull ring to the top zipper because the small tab pull is difficult to grab. I like the size because I can carry it in my pocket or a small clutch. 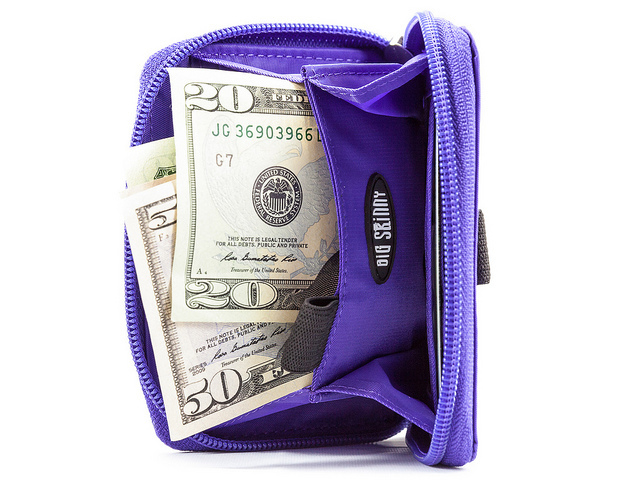 ProsLightweight Super durable Holds all my cards, change, cash and even a spare key. Small enough to fit in a pocket. 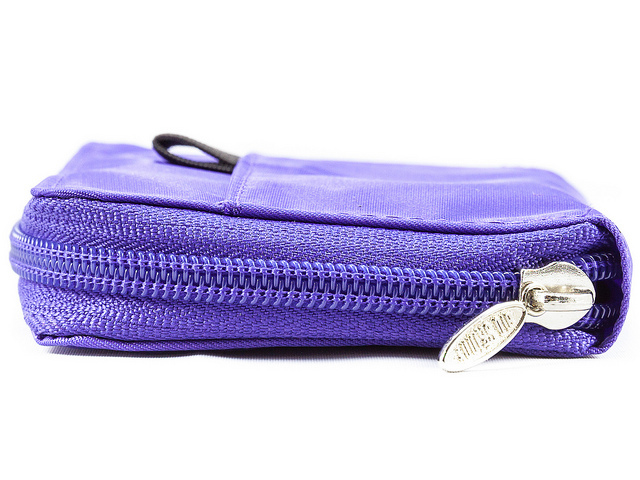 Zippers are long-lasting and don't bind. 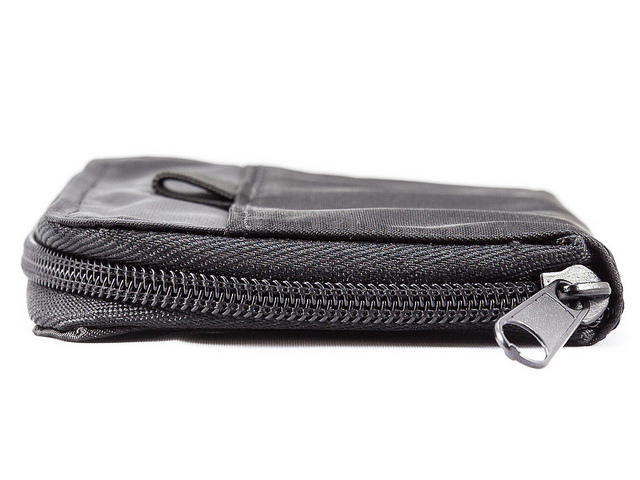 ConsNone, best wallet I've ever owned. 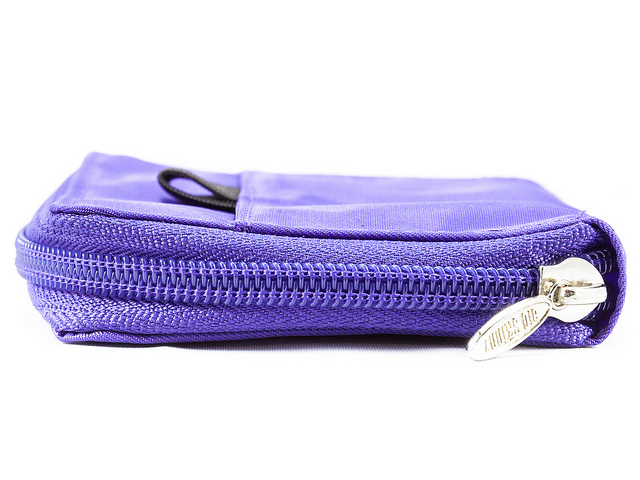 I wanted a wallet with a zipper. I don't know why I had to look in the "women" section. I really love the design on this wallet! I live in Japan, so I carry a lot of coins and convenience store point cards, and this couldn't be a more perfect coin wallet! I can keep high-value coins (?100 and ?500) on one side and low-value coins (?1�€“50) on the other, and have easy access to the cards I'd need for purchases less than ?1,000. 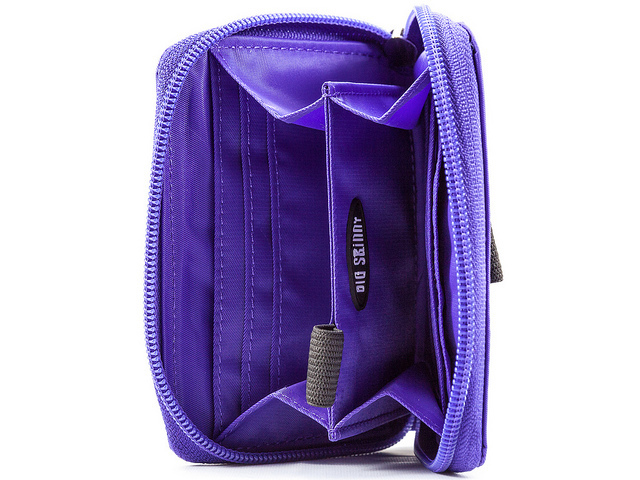 The outside pocket is perfect for holding my transit IC card, too, so I can just pull my wallet out and smush it up against the reader when I use the train or the bus. My only issue that I've had in the several years I've owned it is that the zipper on the small pocket has broken (like, the metal on the "ring" at the end of the pull tab broke, leaving the pull tab with two pointy "horns"), and once or twice the entire pull tab fell out of the main zipper (which I was luckily able to find and pop back in, and then used some pliers to close it shut), but on the whole, I couldn't be happier with this wallet. 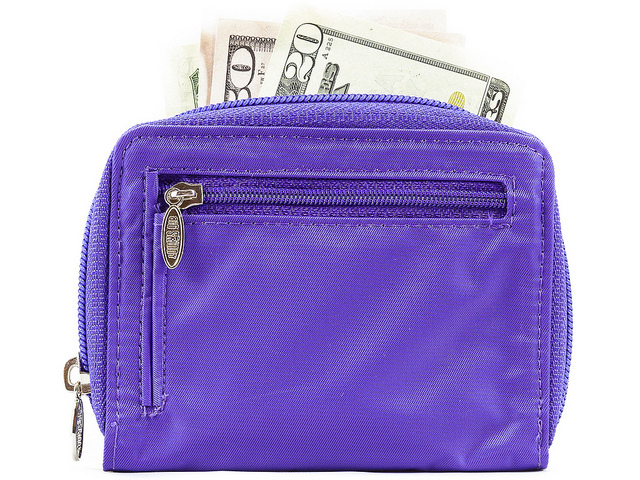 ProsAbsolutely ideal for coins and commonly used cards! 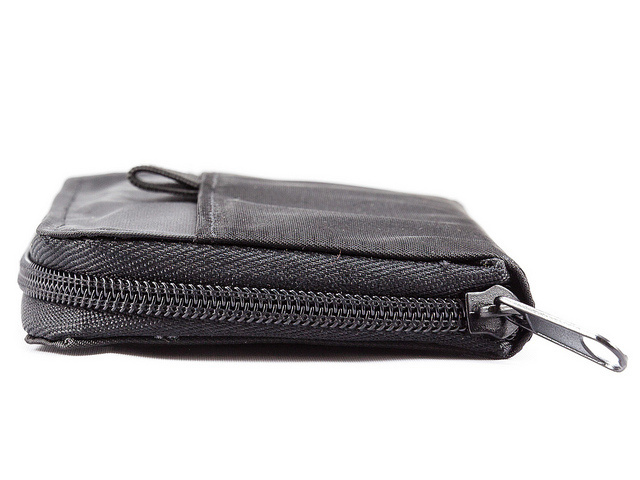 The outside pocket is also good for holding IC cards and/or, say, ibuprofen in foil-backed blister packaging. ConsI've had some zipper issues, but it's also entirely possible that they were my own fault, or at least unavoidable just from the pocket insertion/removal process. 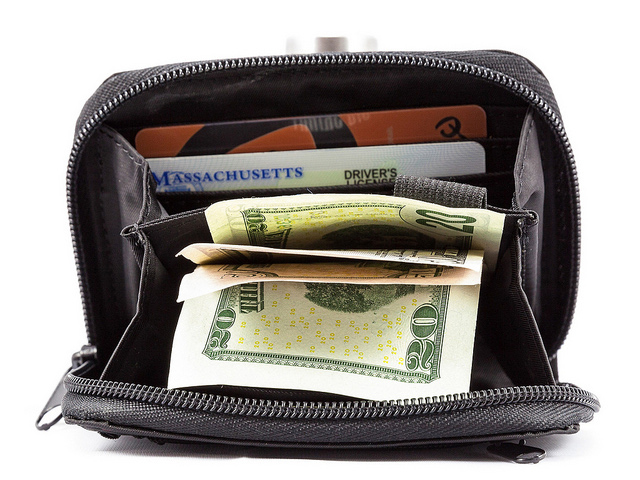 There is one BIG problem with this wallet. The metal pull on both zippers will break off in a matter of weeks. 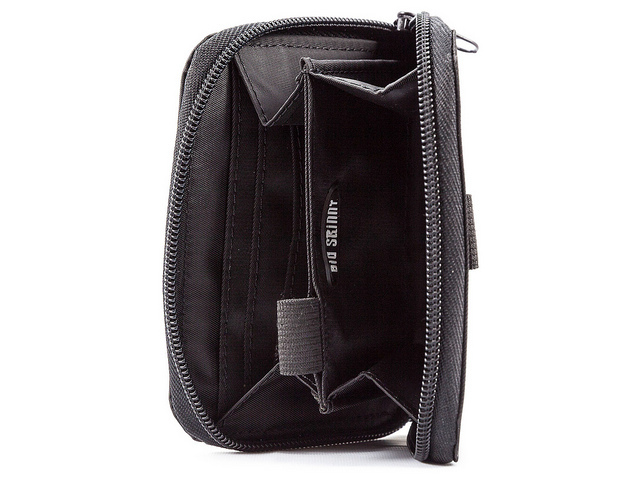 IT IS A WEAK AND POOR DESIGN FOR THE ZIPPER. 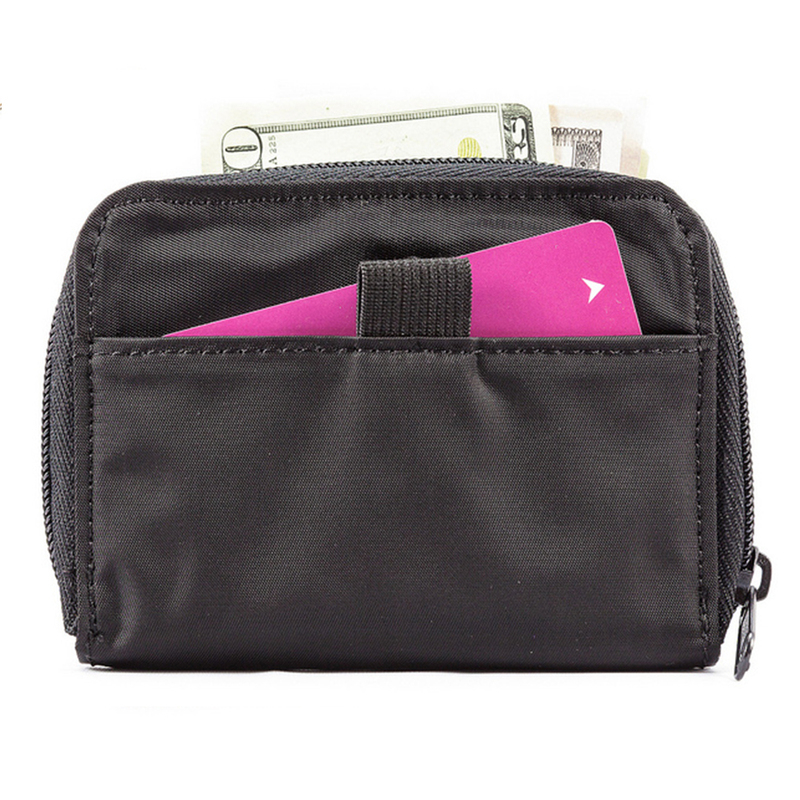 The rest of the wallet is perfect for what I need and I really like it. So I just keep reordering it and making my own fix. I'm at the point that I already know that the pull will break off the zipper so I just break it off and replace it with a keychain ring. You know the metal key "rings" that you separate the metal layers and then slide your key into it? See pic. 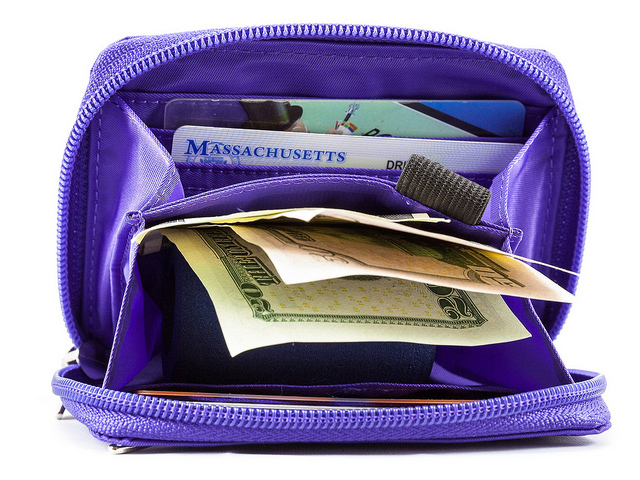 It's a hassle but I really like this zippered wallet. The reason I end up replacing the entire wallet is that the little tab on the zipper where I slide the key chain ring eventually breaks off too and the zipper is virtually impossible to open at that point...when that finally happens, I just order another wallet and start the whole process over again. Like I said...it has broken on EVERY one of these wallets I've bought. I have purchased around 5-6 over the last few years. I purchased 2 of these wallets. I love them - EXCEPT - the outer zipper tab comes free from the zipper, then the zipper tab holder breaks off completely. So very disappointed. Please fix this flaw. I now have 2 unusable wallets. ProsEverything except the outer zipper. ConsOuter zipper tab comes off and even replacing it doesn’t work. It keeps happening and then the tab holder breaks off completely leaving zipper inoperable.